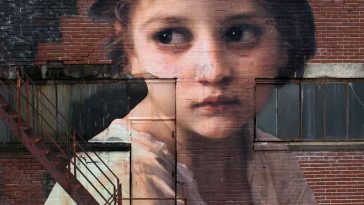 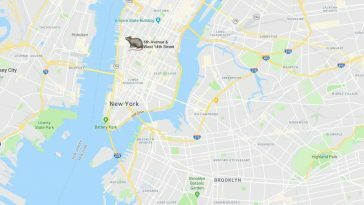 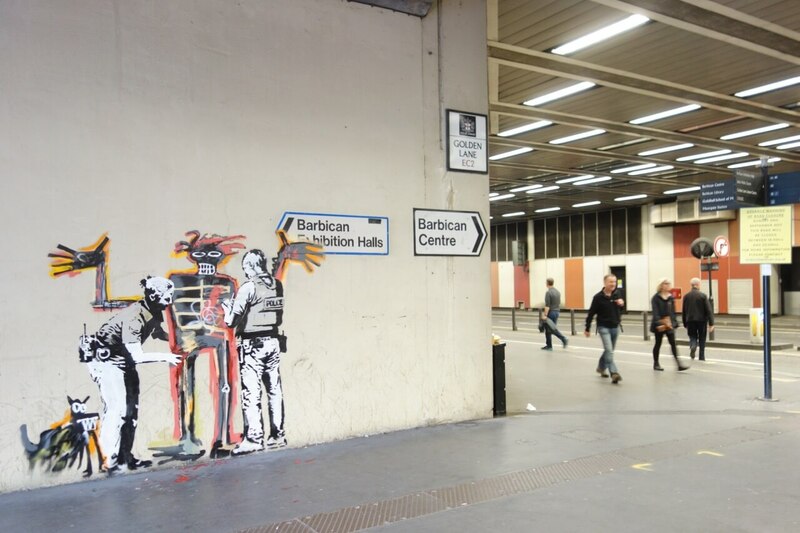 Only days before the opening of this initial large-scale UK exhibition of artist Jean-Michel Basquiat‘s work in the Barbican, Banksy stopped at night to install two new murals. 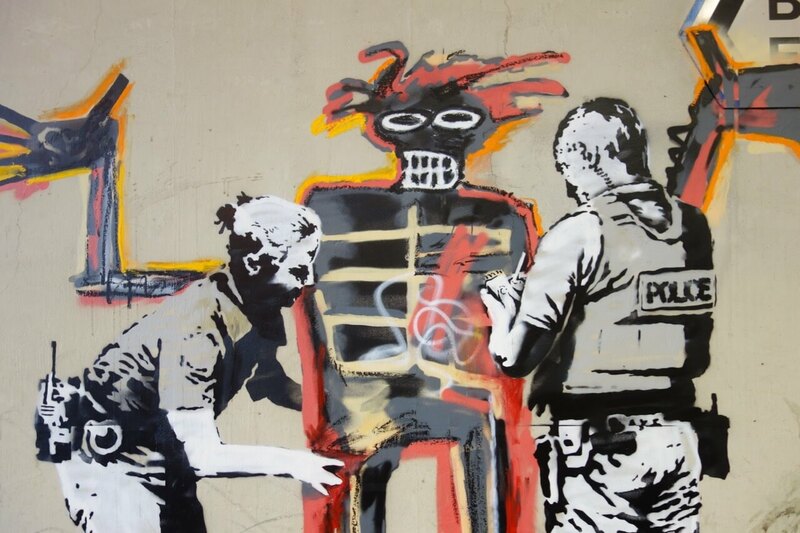 The first, which he refers to as a “portrait of Basquiat being welcomed by the Metropolitan Police,” depicts a figure isolated from Basquiat’s famous 1982 painting, Dog, and Boy in a Johnnypump, being frisked by two police officers as a dog watches nearby. 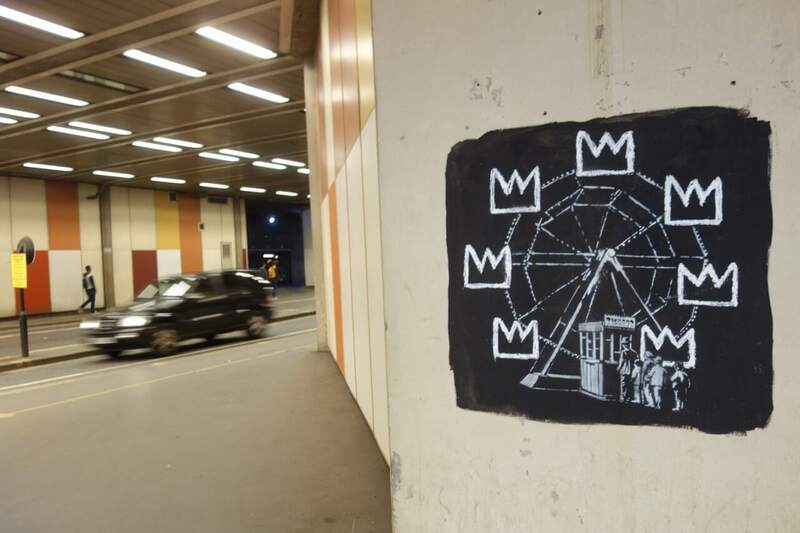 The second shows a line of customers queuing to get a ride aboard a Ferris wheel of Basquiat’s iconic crowns drawn in oil pastel. 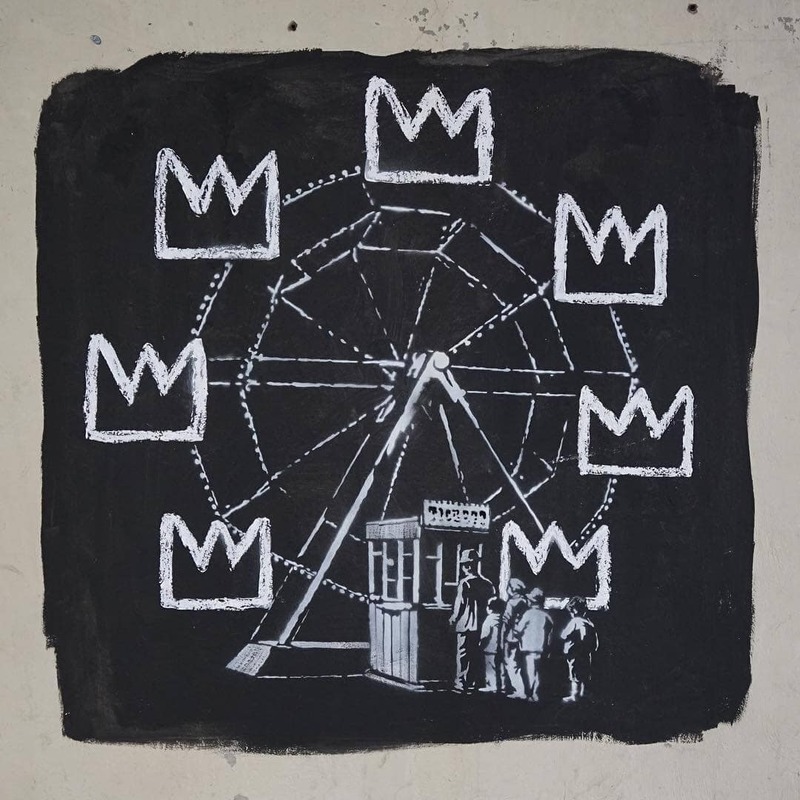 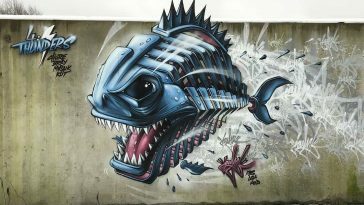 Basquiat rose to fame in the late 1970s on the streets of New York as a portion of their graffiti duo SAMO©. 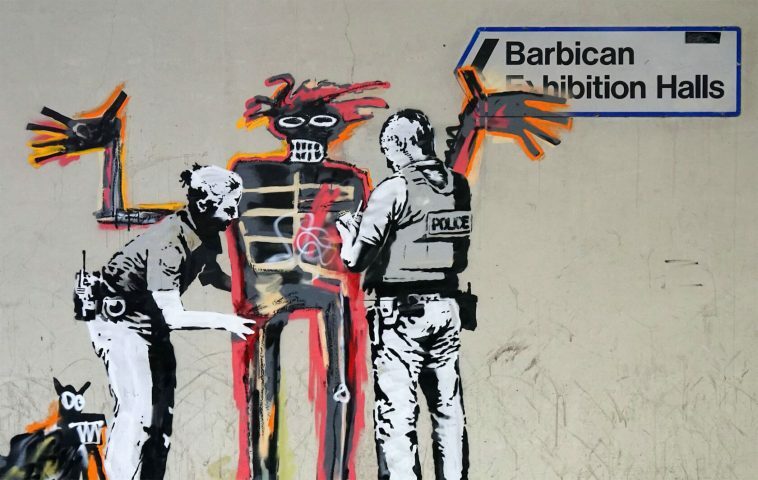 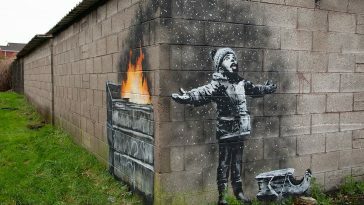 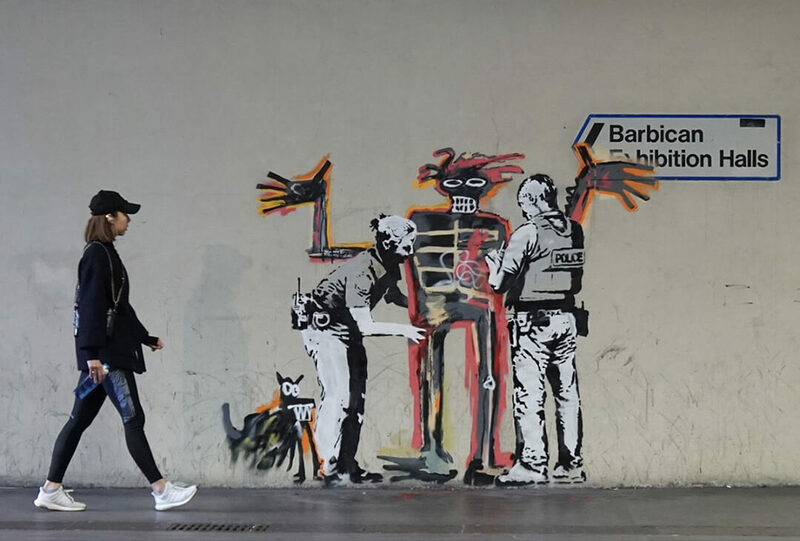 Banksy’s new bits appear to concurrently reference the incidence of racial profiling in targeted stop-and-frisk procedures (Basquiat sometimes referenced police brutality in his own work), although also coyly challenging the Barbican’s strict graffiti removal coverage.